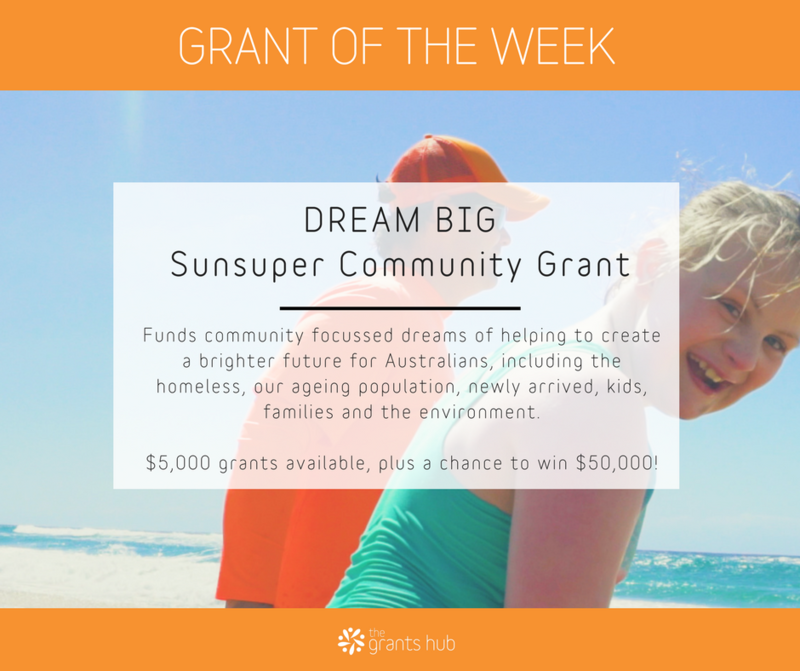 Sunsuper is looking for dreams from not-for-profits that improve the lives or living standards of other Australians. It may be a community development program to create more affordable housing, or help our ageing population or new-comers to Australia. Or your dream may help kids and families in need, or simply create a better environment for a more sustainable world. You can apply for a $5,000 grant. Plus, if you get community support behind you, up to $50,000 could be yours to invest into your idea. How amazing is that?! Applications for Round One close 13 April (and here's a little tip: they NEED more applications). It's a very straight forward application process, so make the most of this incredible opportunity. Find out all the details and apply.